Donors whose contributions and pledges to Yee Hong total $20,000 or more can be honoured with a dedicated area of the donor’s choice in one of the 4 Yee Hong Centres. Some dedication areas provide naming opportunities. The “Unconditional Love” Quilt Campaign celebrates, recognizes and appreciates the unconditional love of women who, in their own way, are everyday heroines. 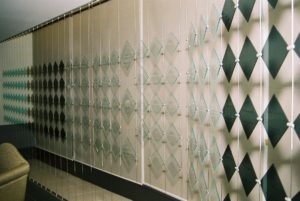 The Celebration Wall honours a special person, achievement or occasion for a donation of $1,000 or more. There are many occasions worthy of inclusion on the Celebration Wall, such as birthday, graduation or the grand opening of a business. The In Memoriam Wall commemorates a loved one for a donation of $700 or more. * Choice of dedication area in one of the four Centres for those whose contributions and pledges total $20,000 or more. Some dedication areas provide naming opportunities. With Yee Hong, every cent goes to enrich the lives of seniors and their families. Your gift, big or small, will be highly appreciated. For donation and inquiries, please contact the Foundation office at 416-321-0777 or email foundation@yeehong.com.